Building on the success of the highly successful ArcPad™ 48, the ArcSource™ 96 Integral brings even more power and light output for the most demanding lighting projects. 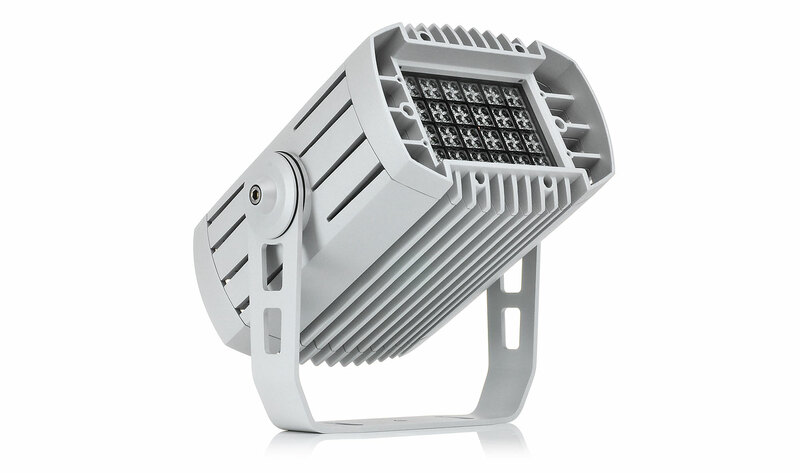 Housed in a compact IP67 rated aluminium housing, the 96 high-powered LEDs provide unbelievable light output previously unavailable in an LED fixture of this size. Control is via DMX/RDM allowing for advanced programming options and the latest technology electronics ensure a stable white balance is achieved with excellent life expectancy. Available in a wide variety of colour options as well as PureWhite and SmartWhite, the fixture is extremely versatile for both interior and exterior lighting schemes. Power in compact physical dimensions with integrated driver. Full range of beam control accessories.